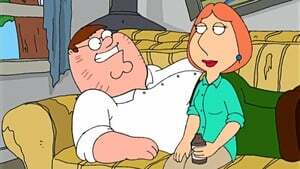 Chris chooses a robber out of a lineup, but after Peter accidentally tells the robber where the family lives, the Griffins are placed in the witness protection program. They are sent to the Deep South, where Chris makes a new friend, Sam. 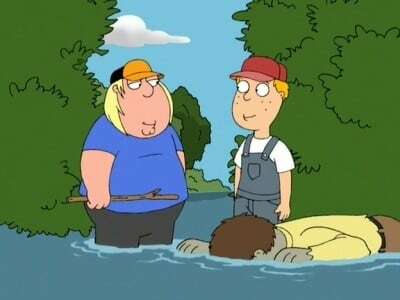 Peter questions the truth of a Civil War reenactment that showed the South winning the war, leading to Sam’s father forbidding Sam from seeing Chris. Upset, Sam runs away with Chris and kisses him on the mouth. Chris tells Sam that he doesn’t like boys and doesn’t like him in a physical sense. The FBI agents guarding the Griffin house in Quahog accidentally tell the robber the location of the Griffins. Sam reveals to Chris that she is not a boy, but a girl. Then the robber arrives in the South, about to kill Chris, but the towns folk stop him just in time.